Orders must be received in the Home Office from noon, CDT, March 1 through noon, CDT, April 1, 2017. Note: Products and colors in packages are predetermined and may vary based on inventory availability. 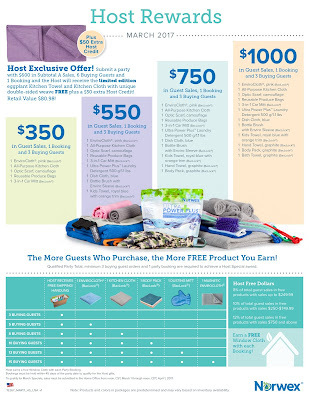 Submit a party with $600 in Subtotal A Sales, 6 Buying Guests and 1 Booking and the Host will receive the limited edition eggplant Kitchen Towel and Kitchen Cloth with unique double-sided weave FREE plus a $50 extra host credit! With average party sales of $500, you can earn your FREE kit and plant the seeds for future Customers, Hosts and team members just by holding two Launch Parties! 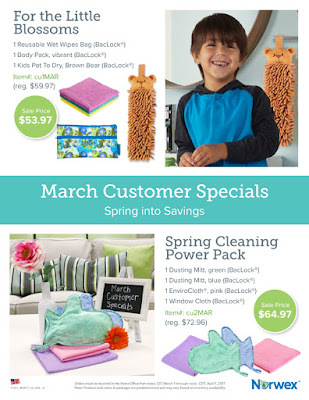 March Consultants Earn Extra FreshSTART Rewards! 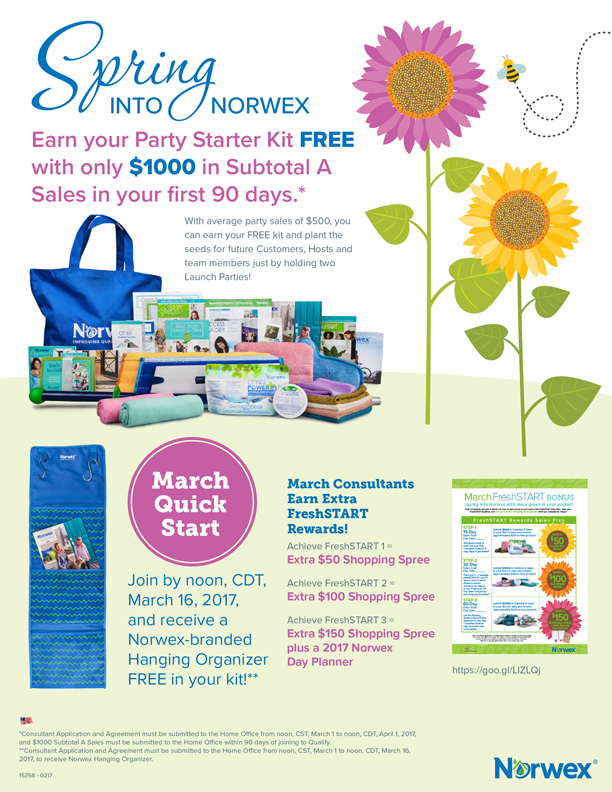 *Consultant Application and Agreement must be submitted to the Home Office from noon, CST, March 1 to noon, CDT, April 1, 2017, and $1000 Subtotal A Sales must be submitted to the Home Office within 90 days of joining to Qualify. 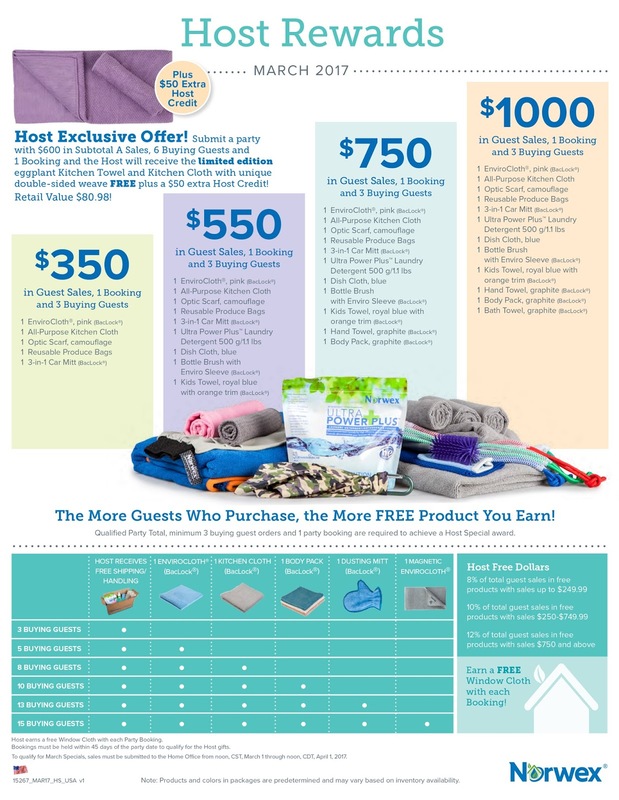 **Consultant Application and Agreement must be submitted to the Home Office from noon, CST, March 1 to noon, CDT, March 16, 2017, to receive Norwex Hanging Organizer.